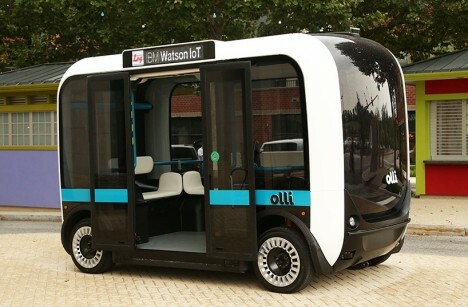 At the intersection of 3D printing, autonomous vehicles and IBM’s famously advanced Watson computing platform sits Olli, an electric vehicle that can carry up to a dozen people. 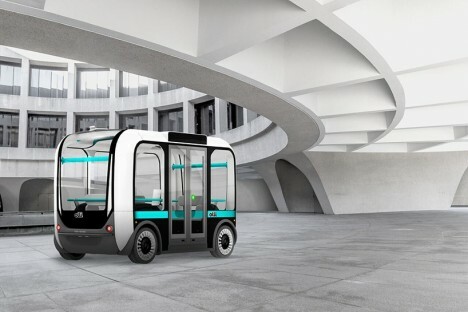 This smart bus design features 30 advanced sensors to help it navigate around and communicate with other vehicles on the road. 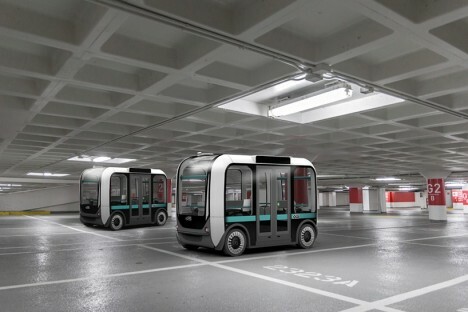 It is the first vehicle to use cloud-based computing from Watson to analyze high volumes of transportation data on the go. 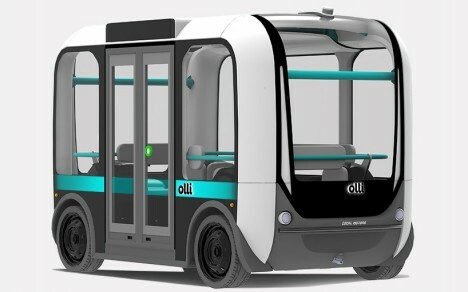 With no need for a driver, passengers are able to sit anywhere and look out the windows, entering and exiting through a bus-like door much as they would on other forms of public transportation. 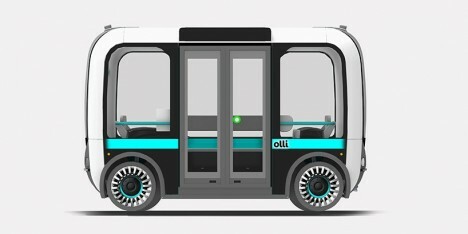 The Olli could also help bridge the gap between large public systems and smaller forms of point-to-point transit. See more in Mass Transit or under Transportation. August, 2016.